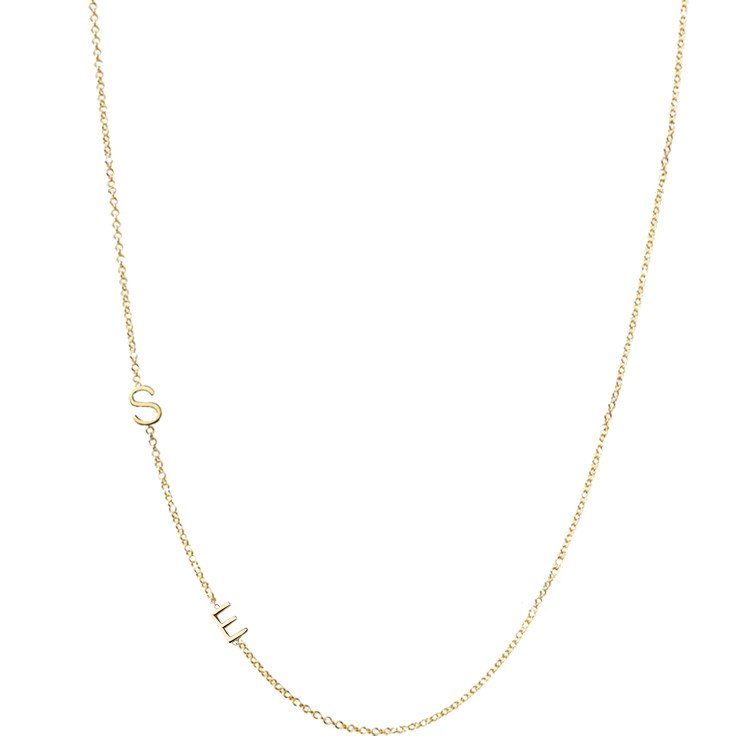 This infamous two letter asymmetrical necklace is from Canadian-based jewellery brand The Right Hand Gal. It's reported the necklace was purchased by Meghan's best friend and stylist Jessica Mulroney at the Ani + Wren boutique in Toronto. Custom-made asymmetrical mini letters soldered onto a delicate cable chain.